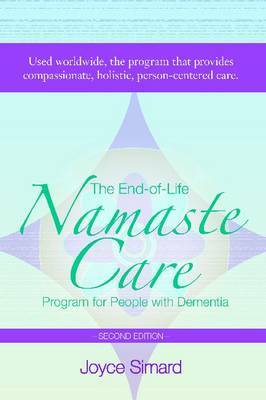 Presenting the first program created specifically to serve the unique needs of a very special population, The End-of-Life Namaste Care Program for People with Dementia offers simple and practical ways for direct care staff to provide holistic end-of-life care for people with advanced dementia. With compassion, sensitivity, and creativity, the Namaste Care ™ program affirms the individuality and enduring spirit of each person through comforting and meaningful sensory-based experiences. Evocative scents, soothing music, and gentle massage are just part of this innovative program, which can be implemented with minimal resources and training and meets regulatory guidelines for person-centred activity programming. Step-by-step advice for staffing, budgeting, operating, and marketing the program is included along with detailed information for creating a Namaste Care room, wing or alternative setting. Skilled nursing facilities, assisted living memory care communities, and hospice organisations see many positive outcomes from implementing Namaste Care, including improved resident quality of life, increased family involvement, and strengthened staff morale.